Dr. Schachter is currently an Assistant Professor in the Department of Child, Youth and Family studies. Her research focuses on understanding early childhood teachers’ experiences and how to build from these experiences in order to bring about meaningful changes in practice and improved outcomes for children. This includes investigating early childhood teachers’ experiences with and use of instructional supports such as curricula, assessments, and professional development in order to understand how these are connected to enacted practice. As part of this line of research she is interested in broadening the methods and tools used to examine and evaluate teachers and practice. Specifically, Dr. Schachter is interested in how to provide effective coaching and mentoring in early childhood education such that it results in learning for both teachers and their students. This includes understanding what constitutes evidence-based coaching practices as well as effective means for observing and measuring these practices. 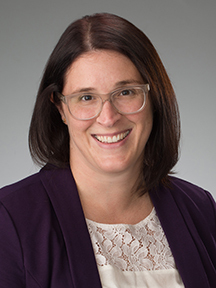 Dr. Schachter’s recent research has investigated teachers’ perceptions of instructional supports such as curriculum and assessments, the nature of interactions between teachers and their coaches, as well as how early childhood teachers reason about their instruction. Dr. Schachter uses multiple research methods to address these aims.